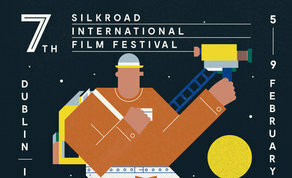 IFTN can reveal that the Silk Road International Film Festival will be hosting a special masterclass with Animation director Joseph Wallace on Saturday, February 9th in Dublin. This class is open to all animators and aimed at industry professionals, graduates and students working in or aspiring to work in the field of animation and particularly stop motion and puppet animation. Attendees might also be puppeteers, artists, theatre-makers, and sculptors who want to expand their practice. Joseph Wallace has given talks and held workshops at institutions and universities around the world including the British Film Institute, Animac Festival, Spain, Arts and Ideas Festival, USA and Manchester Animation Festival. The masterclass event is supported by Screen Skills Ireland & Dublin City Arts Office. Click here to reserve tickets for the masterclass.